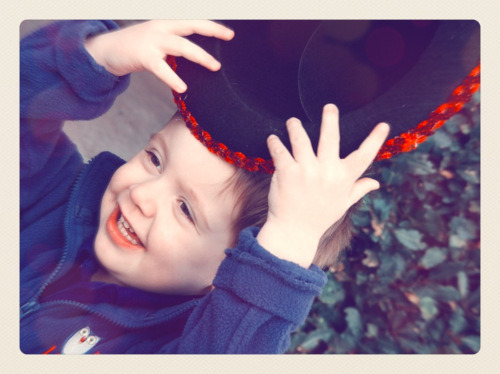 Hat week this week at preschool and I bet right my big boy chose the red sparkly one! Destined to be a manly rugby player! Top marks to Mama for making the effort. Out of 16 children only 3 had hats on. Tut Tut. The other 2 had winter beanies on so really mummies there is no excuse! Made my boy feel a right plonker walking in dressed in his sequinned number! Although that might have happened anyway! 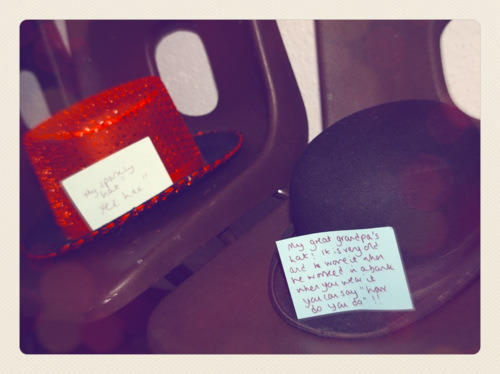 Easter hat parade on thursday…. the pressure is on! p.s. 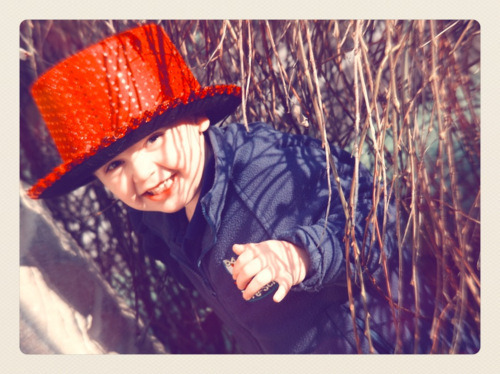 he wants cars on his easter hat… help! !